The person using this shelter in New South Wales certainly meets the official definition of homeless, but how they see themselves is important. There’s no reason people should be sleeping on the street, there are no reasons people should be homeless … There’s more than enough beds and accommodation for people to access. Aside from the question of whether these claims are correct, homelessness is not as easily resolved as just giving people a bed and roof over their head. For a start, it is not just people sleeping on the street who are considered homeless. People using various forms of marginal and insecure accommodation legitimately lay claim to that label. they do not have control over, or full access to, space for social relations. Looking at this definition, it becomes clear that determining whether someone is homeless or not is not straightforward. By this definition, giving someone a bed in a shelter is not sufficient to resolve their homelessness. What’s more, we have long known that people sleep rough because they feel safer on the street than in some homeless accommodation. How do people see themselves? Even though these points are increasingly being recognised, what these debates neglect is that the “homeless” person’s perceptions of their situation might be just as important as how others classify them. Do they feel they are homeless when they sleep on the street? Do they consider that they are no longer homeless when they have a bed in a shelter? And, importantly, do they even describe their situation as homelessness? We examined this question in a large-scale research project with the Salvation Army. We started by exploring how many people who were staying in crisis homeless accommodation would see themselves as a “homeless person”. We found that 55% of people staying in homeless accommodation provided by The Salvation Army identified as “homeless”, and 31% rejected that label. 14% were ambivalent about categorising themselves as “homeless” – they neither fully accepted nor rejected the label. For example, they said they were “not 100% homeless” or that even though they might “technically” be classed as homeless, they did not see that as an accurate way to describe their situation. … at the end of the day there’s a time limit on my stay and that’s not what I would class as stable, safe accommodation. To me, homeless is on the street. This is a hostel, it’s a refuge, it’s a roof over your head, a shower, food, so I wouldn’t say I was homeless. I’ve got somewhere to go every day to sleep, so I wouldn’t say I’m homeless. Others simply said the shelter felt like a home. It thus appears that not everyone who meets official definitions of being homeless defines themselves as such. So, what’s in a name? When it comes to homelessness, the answer may be of considerable importance. In our research, we found that the wellbeing of people who refused to define themselves as “homeless” was significantly higher than the wellbeing of those who had adopted the label to describe themselves. Somewhat surprisingly, people who had experienced chronic homelessness in the past were no more or less likely to self-categorise as homeless than people who had few or no previous homeless experiences. How people saw themselves also had no impact on their use of the services. Participants who rejected or were ambivalent about the homeless label reported rates of use similar to those who accepted the label. It thus appears that when it comes to mental health, when we adopt a label to describe ourselves, we start to think and act in ways that align with the stereotypes of that label. In this case, despite the diversity of experiences of homelessness, those who accept the homeless label internalise the rejection and even dehumanisation that homeless people experience from mainstream society. This is associated with significant social and emotional costs. What are the lessons for service providers? The Salvation Army has changed both its practices and the language it uses in providing shelter to people in need. Given the importance of self-definitions for mental health and wellbeing, understanding how people see themselves has important policy implications. Our research shows that not everyone who needs crisis accommodation defines themselves as a homeless person. However, individuals must typically self-identify as such to gain entry to homeless services. This means these people are required to adopt a view of themselves that is in and of itself associated with negative wellbeing outcomes. There is a need for housing and supported accommodation that does not put pressure on people to identify as homeless and thus to carry the baggage associated with that label. Fundamental needs, such as a need for housing, should not be tied with categories and identities that assume who someone is and what they are perceived to lack. The Salvation Army has taken these insights further and translated them into practice principles. These take as a starting point that, in delivering services, it is important to avoid seeing people through the lens of their current and past housing challenges. Concretely, this has, for instance, led to changes in the use of spaces. In several shelters, the Salvation Army have removed physical barriers between staff and residents and created more independent living space. The idea is that by undermining categories of “service staff” versus “service users” the homeless label will become a less prominent way for the latter group to categorise themselves. This should in itself be empowering for residents. Other changes to service delivery are not as tangible, but are equally important. 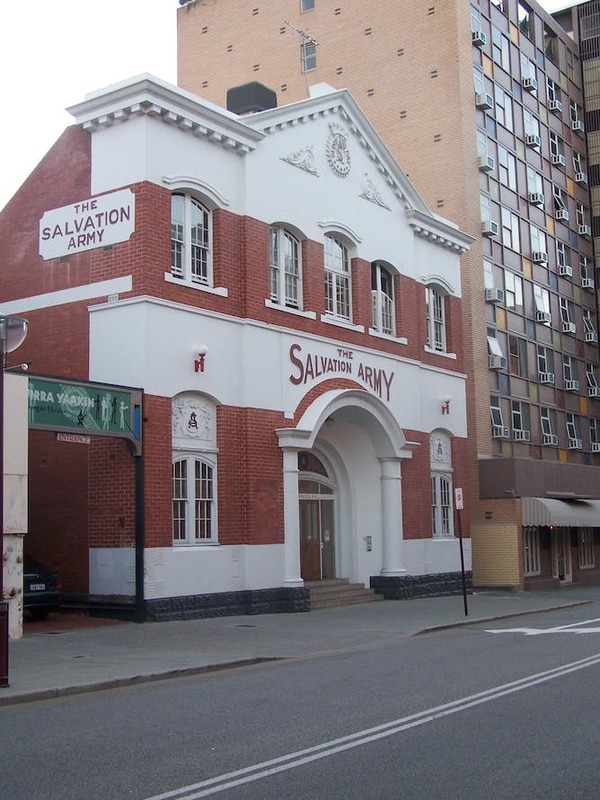 The language the Salvation Army uses has changed significantly, with the aim of treating people as active agents of their life and members of society, rather than passive recipients of services. These changes in practice are subtle and not easily described, but they represent a significant change in the ethos of the service. For example, services no longer use terms such as “homeless people” as the main way of referring to people using the services. These ideals reflect a broader change in how homeless services are provided to people. Homelessness accommodation providers, social service providers and governments must ensure the language they use and, importantly, the language and labels applied to people using services do not assume that needing assistance is a defining trait of the individual. This article was co-authored by Chris Deighton, The Salvation Army Operations Manager Queensland, Accommodation and Housing Services, Australia Eastern Territory.